Kongsberg Maritime said it has been awarded an Engineering, Procurement, Construction and Installation (EPCI) contract with Flensburger Schiffbau-Gesellschaft (FSG), a subsidiary of Siem Group. This is the second RoPax contract that Kongsberg Maritime has been awarded at FSG. The ‘Full Picture’ contract, valued at approximately €20 million ($23 million), covers engineering, procurement and project management, maritime technology deliveries and installation on a LNG fuelled RoPax Ferry for French company Brittany Ferries Ltd.
Kongsberg Maritime has been awarded offshore EPC contracts worth more than NOK 520 million from the China Merchants Heavy Industries (CMHI) covering the deliveries of to two semi-submersible heavy lift and accommodation vessels; OOS Serooskerke and OOS Walcheren, to be built at CMHI (Jiangsu) in Haimen, China for Serooskerke Shipco BV / Walcheren Shipco BV in the Netherlands. Kongsberg Maritime together with its wholly owned subsidiary Kongsberg Maritime Engineering (KME) will execute the project. 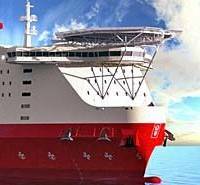 KME will provide all engineering, procurement and project management while Kongsberg Maritime will supply a ‘full picture’ system delivery. The vessels are based on a similar design to the OOS Greta (pictured) currently operating for Petrobras in Brazil. Kongsberg Maritime said it has been awarded an engineering, procurement, construction and installation (EPCI) contract worth more than NOK 120 million from Flensburger Schiffbau-Gesellschaft (FSG) for engineering and maritime technology deliveries to a RoPax ferry for Irish Continental Group (ICG). Kongsberg Maritime together with its wholly owned subsidiary Kongsberg Maritime Engineering (KME) will execute the project, which will see KME provide all engineering, procurement and project management while Kongsberg Maritime will supply a ‘full picture’ system delivery. The RoPax ferry will have a 194.8 m length overall and 31.6 m beam with a cargo capacity of 2,800 lane meters, and an additional dedicated car deck for 300 cars. Kongsberg Maritime informs it has been awarded engineering, procurement, construction and installation (EPCI) contracts worth more than NOK 160 million with the Glasgow based shipbuilder and marine fabricator Ferguson Marine Engineering Limited (FMEL) for two new 100-meter ferries for Caledonian Maritime Assets Ltd (CMAL). 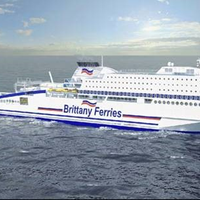 The ferries will be dual-fuel vessels so they can operate on liquefied natural gas (LNG) and marine diesel, and are designed to carry 127 cars or 16 HGVs, or a combination of both and up to 1,000 passengers. Kongsberg Maritime, together with its wholly owned subsidiary Kongsberg Maritime Engineering (KME), will execute the project; KME will provide all engineering, procurement and project management while Kongsberg Maritime will supply a ‘Full Picture’ system delivery. The annual Terminal Operators Conference (TOC) in Europe was held June 9-11 in Rotterdam with over 4000 people attending the conference supply chain sessions, Tech TOC, Bulk TOC venues and exhibits. 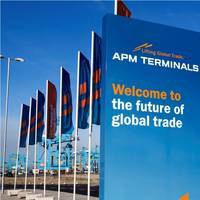 Alex Duca, head of design and automation for APM Terminals called for a sensor revolution. “We want to have sensors everywhere - on all moving equipment, on all operational interfaces and transfer points. Sensors give us data power and metrics - so we can make things better and improve services. A whole new world of equipment intelligence opens to us all. 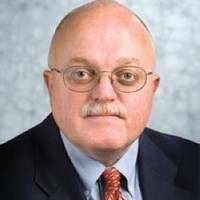 Newport News Shipbuilding (NNS) appoints John Temple as Vice President of Contracts Management for Savannah River Nuclear Solutions (SRNS). Huntington Ingalls Industries (NYSE:HII ) announce that John Temple has been promoted to vice president of contracts management for Savannah River Nuclear Solutions (SRNS) – a joint partnership between Newport News Shipbuilding, Fluor Corp. and Honeywell that manages operations of the Department of Energy's Savannah River Site in Aiken, S.C.
New partnership to offer cost-effective repair and maintenance services for all makes and models of steering gear and rudder systems worldwide. 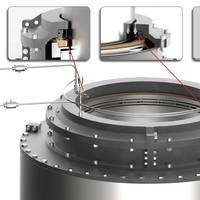 HATLAPA Uetersener Maschinenfabrik GmbH & Co. KG and LOEWE MARINE GmbH & Co. KG will be collaborating closely in the area of steering gear and rudder system maintenance and repairs. 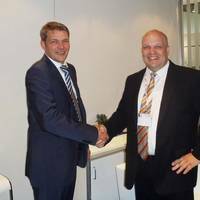 The new partnership was announced at the SMM tradeshow in Hamburg in September. The two companies expressed confidence that the resulting synergies will offer an increased benefit to their existing customers and create new business opportunities. Noble Denton and Germanischer Lloyd (GL) will support European leading utilities cooperative Trianel GmbH with technical support and project management of its 400 MW offshore wind farm Borkum West II. The installation of the first phase is scheduled to start in 2011/2012. It consists of 40 of the planned 80 turbines on the site and the Offshore Substation. The wind farm will be located approximately 45 km north of the German island of Borkum. The site is immediately adjacent to the smaller Alpha Ventus site which is currently under development. Noble Denton will support Trianel during the pre-construction phase project development and will be in charge with the appropriate project management systems. 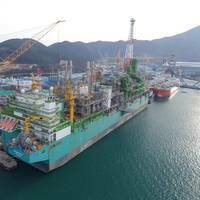 Keppel Offshore & Marine Limited (Keppel O&M) will deliver a new generation semi-submersible rig to Maersk Contractors two weeks ahead of schedule in mid August 2003. The rig was named LIDER in a ceremony that was attended by more that 1,000 guests at Caspian Shipyard Company (CSC) in Baku, Azerbaijan. Mr Tage Bundgaard, President of Maersk Contractors, said, "We are proud of this new highly advanced rig. We fully expect LIDER to prove its state-of-the-art capabilities during the upcoming contract with Exxon Azerbaijan and other operators in the Caspain region. LIDER will be contracted to Exxon Azerbaijan Operating Company LLC and Chevron Overseas Petroleum Azerbaijan Limited for a three-year drilling program. McDermott International subsidiary J. Ray McDermott, S.A. won a $77 million contract by Woodside Energy Ltd., operator of the North West Shelf Venture's LNG Phase V Expansion project in Australia. Under the contract, J. Ray will undertake construction engineering, procurement, fabrication, assembly and erection of 75 pre-assembled module and pipe rack units totaling nearly 22,000 short tons. Completed modules and pipe racks will be shipped from J. Ray's Batam Island, Indonesian fabrication facility to Western Australia, and transported to the Venture's LNG facilities on the Barrup Peninsula where the new LNG "Train V" is being constructed.